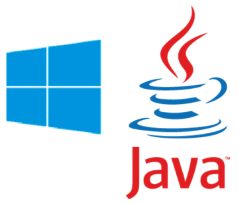 Darwino, and Java applications, on Microsoft Azure! ~ Elementary, My Dear Watson! 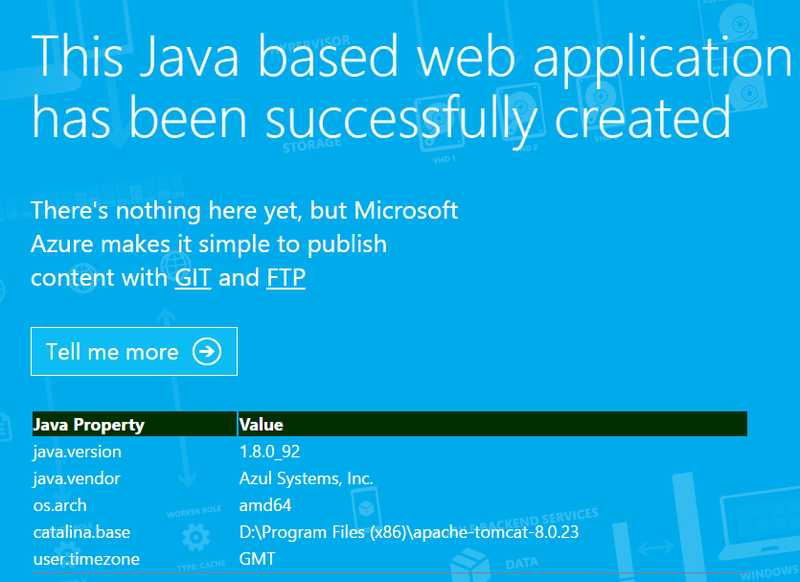 Darwino, and Java applications, on Microsoft Azure! In a prior blog post, I showed how we deployed a Java based application to IBM BlueMix. But as you may know, the Darwino platform is pervasive and can run applications on many different applications servers, while connecting to many different relational databases. So let's deploy a Darwino app to Azure, using TOMCAT and MS SQL Server. Similarly to IBM Bluemix, Microsoft offers an Eclipse plugins but, unfortunately, I cannot get it to work with large Eclipse Workspaces (see issue: https://github.com/Microsoft/azure-tools-for-java/issues/15). Let's deploy the application manually, until this is fixed. Microsoft Azure features the latest SQL Server 2016, including the new JSON capabilities. The 2 resources can be created in a single step: when you create the database, it asks for a server or let you create one dynamically. Contrary to IBM Bluemix, Azure let you access your VM through FTP, which is very convenient. The connection URL and the user are available in your application information panel. Now, this deployment model only exposes by default the TOMCAT HOME directory via FTP. But this is enough for deploying a WAR, or consult the log files. 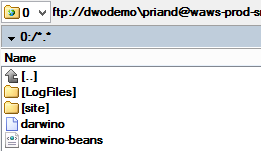 As you saw, deploying a Darwino application on Azure was easy. The whole steps took less than 15 mins. The Eclipse tools should make it even easier and faster, which will try when the bug mentioned earlier will be fixed. Similarly to IBM Bluemix, I would advise developers to develop using a local TOMCAT environment and then deploy the app to Azure when ready: the developer experience is far better this way. I have read your blog its very attractive and impressive. I like it your blo Java Training in Chennaig. Hi, I have read your blog. Really very informative and excellent post I had ever seen about Python. Thank you for sharing such a wonderful blog to our vision.